TWO LOCAL SCHOOLS are celebrating after winning £500 as a reward for their recycling efforts. As part of a year-long Sunderland City Council project, more than 5,800 school pupils in 40 primary schools have been involved in recycling roadshows and assemblies. Broadway Junior School and East Rainton Primary School are sharing the £1000 prize fund after they got the most pupils and parents involved in the roadshows, pledging to improve their recycling habits. Sunderland City Council Member for Environment and Transport Councillor Amy Wilson said: “We’ve been delighted with the success of this campaign over the last year. Working with our partners at Groundwork NE, we’ve undertaken community engagement in every area of the city, public roadshows, doorstep discussions with residents and training with our front line staff. In the assemblies, pupils learned the importance of putting the right rubbish in the right bin, to make the most of the space, and took part in quizzes and games to remind them what goes in each bin. The project was funded by central Government, as part of a national focus on increasing recycling rates. 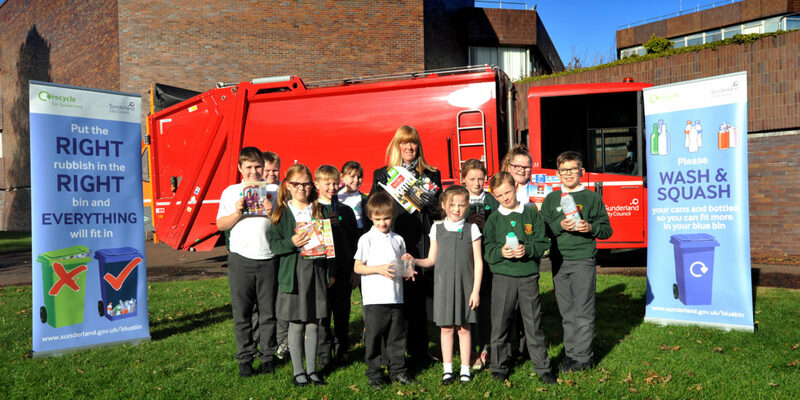 Grace Robinson, teacher at Broadway Juniors, brought the School Council to the Civic Centre to receive their prize and have a closer look around a recycling vehicle. 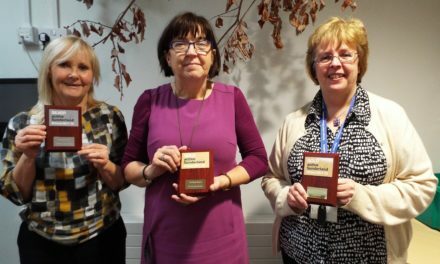 She said: “We’ve been working really hard to raise awareness of environmental issues at school, so it was lovely to hear that we’d won the prize. The children really enjoyed the assembly and I’m sure they’ll have been sharing what they learnt at home.